The dry scalp should not be ignored. It is an indication that your scalp is not producing enough sebum or due to improper care, your hair is unable to lock moisturizer. Yogurt, honey, and lemon- Take 2 tablespoons yogurt and add a few drops of lemon. Mix properly and apply to your scalp and hair. Leave it for an hour and then have a head bath. This hair mask will not only remove dandruff and dry flakes but also adds luster to your hair and will make it smooth and shiny. Avocado and peppermint– Grind an avocado and mix it with a tablespoon olive oil, a teaspoon honey and half teaspoon of peppermint tea. Mix the ingredients and apply it. Keep it for an hour and wash your hair. It will lock the moisture, stimulate the hair follicles and help you to get thicker hair. 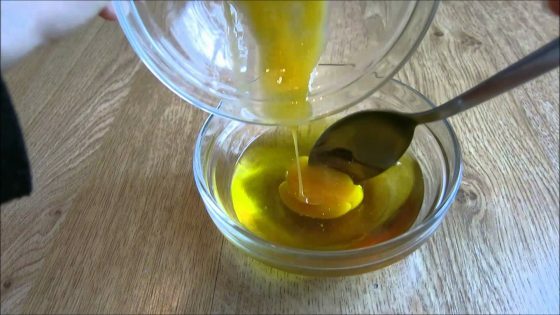 Egg and olive oil- Take 2 eggs. Whip them and beat them properly. Add a tablespoon of olive oil to it. Mix properly and coat your hair and scalp with this preparation. Keep it for 30 minutes and then have a head bath. Aloe Vera and coconut oil hair moisturizer– Take 3 teaspoons of fresh aloe Vera gel and add a teaspoon coconut oil and a few drops of lemon juice to it. Mix the ingredients and apply it on your scalp and hair. Massage for a few minutes. After 30 minutes have a head bath. 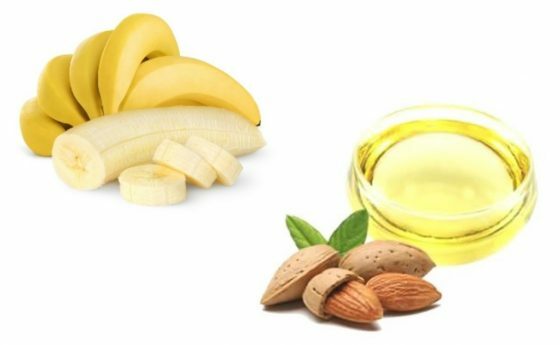 Almond oil and banana- Mash a banana and add a tablespoon of almond oil to it. Apply it and massage for a few minutes and after an hour wash your hair. This mask locks the moisture and hydrates the scalp. Shampoo your hair regularly, at least 2 times a week. It removes the dead cell that helps the moisturizer to penetrate deep into the hair follicles. Do not over wash your hair or your scalp will loose hydration. If your hair is very dry, try rinsing off your hair only with water in between shampooing. Try steaming your hair once in 15 days. This will open the pores and lift the cuticles. Use natural conditioners like egg and yogurt. Always massage your scalp with oil at least an hour before washing them. Wear a scarf or a hat before stepping out in the sun to prevent direct exposure to the sun.